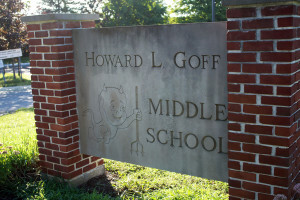 The unexpected power outages that affected Howard L. Goff Middle School on March 8, 2018 forced the rescheduling of the 6th Grade Parent Orientation. After coordinating with the elementary principals and the school district’s calendar, the new date for Goff Middle School’s Incoming Sixth Grade Orientation will be Monday, April 9 at 6:00 p.m. The focus of the meeting will be to welcome parents to Goff Middle School, and to provide them with information about the school and its work with middle school children. Each elementary building has scheduled a separate time during the school day for incoming students to tour the school. Parents of incoming 6th graders are encouraged to attend this important event.